Eliminate the signs of aging and smooth wrinkles on the face and hands. 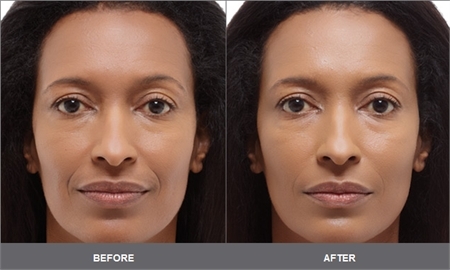 Women and men from all over the world, as well as Westchester County, Manhattan and other parts of New York City, choose dermatologic cosmetic surgeon Dr. Rhoda Narins to help them attain more youthful looking skin. 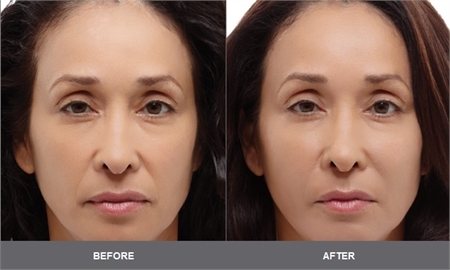 She offers a wide selection of the latest wrinkle treatments including Radiesse®, a long-lasting injectable filler. Dr. Narins is a certified hands injector with Radiesse® for hands, a dermal filler FDA approved for the treatment of hand volume loss. 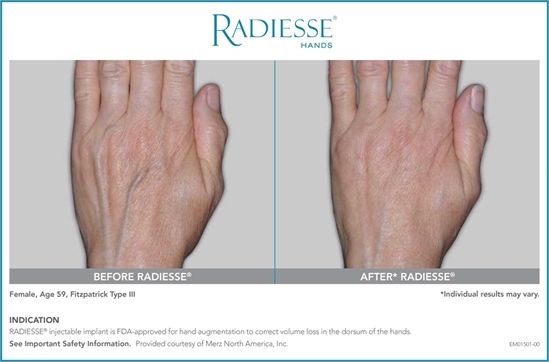 With just one quick treatment, Radiesse® for hands provides immediate volume for natural-looking results that last up to 1 year. 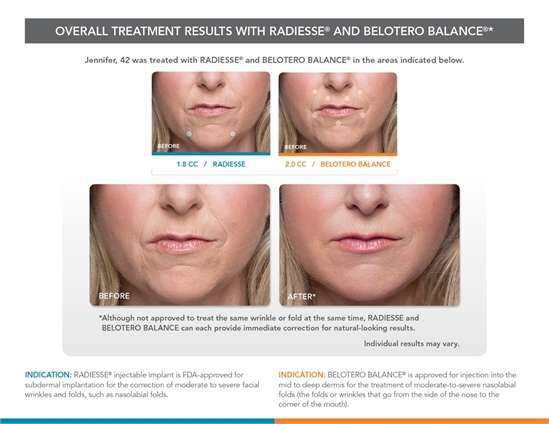 Injectable fillers like Radiesse® are popular with our patients because they are so quick and convenient. Treatments typically take less than 15 minutes. There is usually no recovery time required. 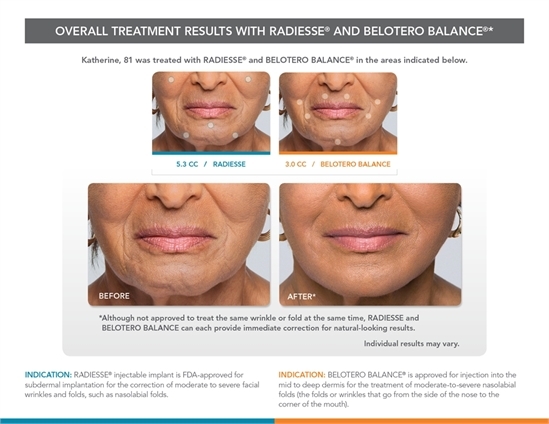 The improvements from Radiesse® can last between 1 and 2 years. 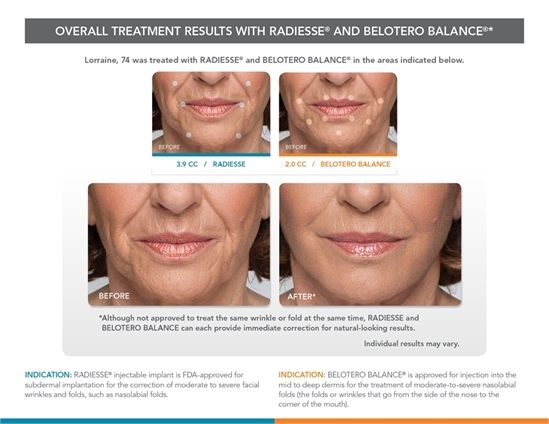 Dr. Narins may use Radiesse® in conjunction with other fillers to give you the very best result for you. 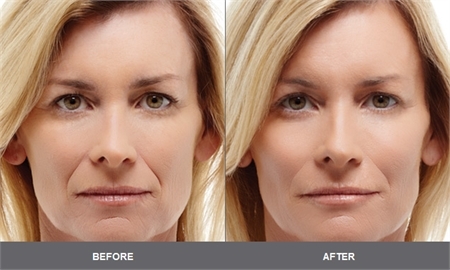 Radiesse® is just one of the many skin rejuvenation treatments Dr. Narins offers. Her selection of the latest laser skin treatments, vein therapies, and BOTOX® Cosmetic injections have Manhattan and other New York City residents looking more youthful with no downtime. During your private consultation, Dr. Narins will ask you about your desired improvements and recommend a customized treatment plan for you. Patients from across the globe, as well as Westchester County, Manhattan and other parts of New York City, trust dermatologic cosmetic surgeon Dr. Rhoda Narins for her knowledge, experience, and skill. She welcomes the opportunity to speak with you about available treatment options during your private consultation. Call her office at (212) 288-9910 (Manhattan) or (914) 684-1000 (Westchester).